The devastating earthquake in Japan was registered in Garni’s and Vayk’s observation stations of the National Seismic Protection Service at the Ministry of Emergency Situations of Armenia. These stations are included in the international seismological network, and are unique in the region. Hrachya Petrosyan, head of the National Seismic Protection Service at the Ministry of Emergency Situations, said at a press conference on Tuesday that Armenian stations register quakes frequently, because Armenia is located in a seismically active zone. “Thanks to mild quakes the seismic energy, accumulated in the earth’s crust, discharges, which does not result in energy accumulation in the form of devastating earthquake,” Petrosyan says. Speaking about the unsafe condition of reactors of nuclear power plants in Japan, Zaven Khlghatyan, Head of the Center of Seismic Stability of Structures of the Ministry of Emergency Situations, says that Japan being such a major country, should have been ready for it and should have taken the tsunami threat into consideration. Speaking about the Metsamor Nuclear Power Plant, Petrosyan says that it is registered on the list of objects of special importance. It was built according to special standards during the Soviet period, and the fact that it was being built in a seismically active zone, was taken into consideration. “It may confront up to a 9-magnitude earthquake. Unfortunately, there is a problem, that our nuclear power plant does not have a protecting layer, which absorbs exhausted dangerous elements in case of an accident. The Chernobyl Nuclear Power Plant also did not have that protecting coat,” Petrosyan says. 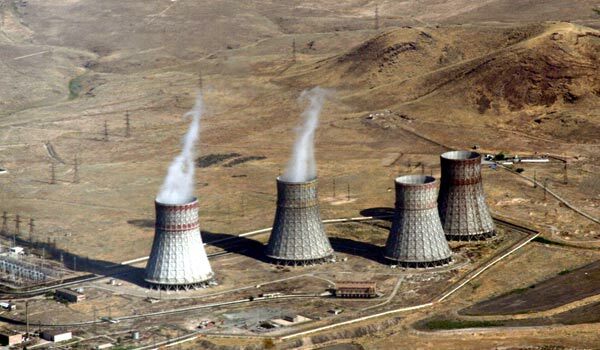 Planning works of a new nuclear power plant are currently being held in Armenia. According to the officials of the National Seismic Protection Service at the Ministry of Emergency Situations, it will have at least 9-magnitude seismic resistance.